1 Who is Cara Gee? 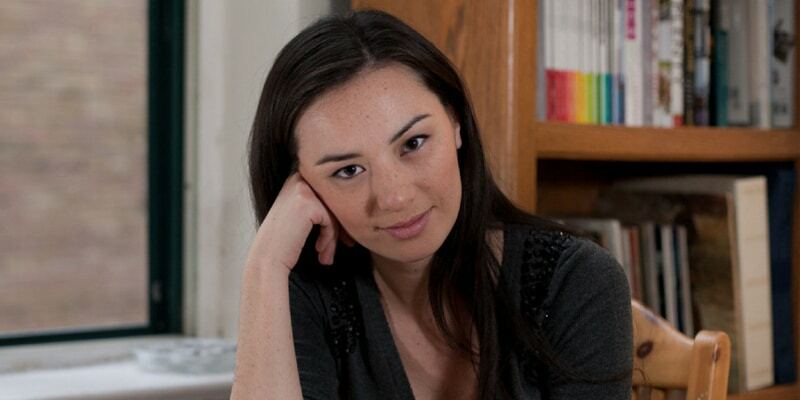 Cara Gee was born on 2 September 1983, in Calgary, Alberta, Canada, and is an actress, best known for being one of the lead actors of the television series entitled “Strange Empire”, which ran for a season until its cancellation in 2015. How rich is Cara Gee? As of late-2018, sources estimate a net worth that is over $2 million, earned through a successful career in acting. Aside from television, she’s also been involved in several film and stage projects, mostly based in Canada. As she continues her career, it is expected that her wealth will also continue to increase. Cara is of Ojibwe descent, a group of indigenous people from North America and Canada, considered as one of the largest ethnic groups north of the Rio Grande. While she was born in Calgary, her family later moved to Aurora, Ontario, Canada where she grew up. Little is known as to how she developed an interest in acting, but it is known that after high school, she enrolled in the University of Windsor. She completed her studies, and has been working steadily as an actress since. She began her career on stage, appearing in several high profile productions, including that of Margaret Atwood’s “The Penelopiad” which is based on a novella which is a part of the “Canongate Myth Series”, a contemporary authors re-write of myths. She also appeared in a production of “The Rez Sisters” which is a two-act play inspired by “Les Belles-Soeurs”, focusing on the dreams and hopes of a group of women residing at the Wasaychigan Hill Indian reserve. Other projects she had during this period include “Arigato, Tokyo”, “36 Little Plays About Hopeless Girls”, and “Tout comme elle”. Gee made her feature film debut in “Empire of Dirt”, which was directed by Peter Stebbings and screened at the 2013 Toronto International Film Festival. The film earned several award nominations, including a Canadian Screen Award for Best Actress thanks to her performance. She won a Special Jury Award during the Toronto International Film Festival, and also a Best Actress Award from the American Indian Film Festival. She was named one of the annual Rising Stars during this period, leading her to gain more roles on television. She appeared as a guest on the show “King”, a police drama focusing on the titular veteran police officer, who is appointed to be head of the Major Crimes Task Force in Toronto. She also made an appearance in “Republic of Doyle” which stars Allan Hawco and Sean McGinley, and focuses on a father-son private investigator duo investigating all sorts of dealings, with some having them put on the wrong side of the law. The show would run for a total of six seasons, ending in 2014. Eventually, Cara was cast in her first lead role in a television show, entitled “Strange Empire” which aired on CBC Television. The show is set near the Alberta-Montana border during the 1960s, with a group of three women joining forces after the men in their town are murdered, however, after a season the show was cancelled. She was then cast as a lead in the web series entitled “Inhuman Condition” which premiered through the KindaTV YouTube channel. The show focuses on a therapist specializing in supernatural patients in a world where the supernatural have become accepted as a normal part of life. In 2017, Gee was given a recurring role in “The Expanse”, a science fiction series based on the series of novels of the same name written by James S. A. Corey. The story is set in a future where humanity has colonized the entire solar system, with a group of people joining forces to battle a conspiracy that threatens the survival of humanity in the system. It received good reviews from critics, praising numerous aspects of the show. While working on the series, she also had other film projects, including “The Carmilla Movie” and “We Forgot to Break Up”. She also worked on another web series, entitled “The Neddeaus of Duqesne Island”. For her personal life, not much is known in terms of Cara’s romantic endeavors, if any. She is reported to be single though has managed to keep that aspect of her life away from the media. Similar to numerous actresses, she is highly active on-line through social media, having an account on the website Twitter, on which she mainly promotes her recent and upcoming projects. She also has photos and videos of her taken on set, and with fellow castmates, as well as a few personal photos.